Hadrian’s High Way is an original overland trek of 100 miles in step with the Roman road structure, linking ten Roman forts, starting from the Cumbrian coastal village of Ravenglass. It's a complete contrast to the Hadrian’s Wall Path, in that it's an unceasingly scenic experience, while still offering the chance not only to visit multiple Roman sites but also to see the landscape through the eyes of the Romans and the challenges they faced forging a route through a hostile unforgiving trackless country which is in many respects still as wild today. To make the walk practical I have split it into two parts, with a Lakeland route from Ravenglass to Lowther Castle and then a part-Pennine Way stage – both stages starting and finishing at a railway station. From the off the route is exciting, with the coastal village of Ravenglass and its mini railway up Eskdale, an amazing Roman bath house and a great bastion in Muncaster Castle to admire. The path follows the tangible Roman road along the spine of Muncaster Fell then hugs the River Esk in its crag-rimmed valley, climbing by Hard Knott Roman fort, with its stirring perspective on the Scafells, the highest ground in England. Threading Wainscarth, the route holds to the true course of the Roman road, slipping over a second col in Wrynose Pass and entering Little Langdale, where the Roman road is lost in a sylvan mosaic of birch and rugged walled enclosures. 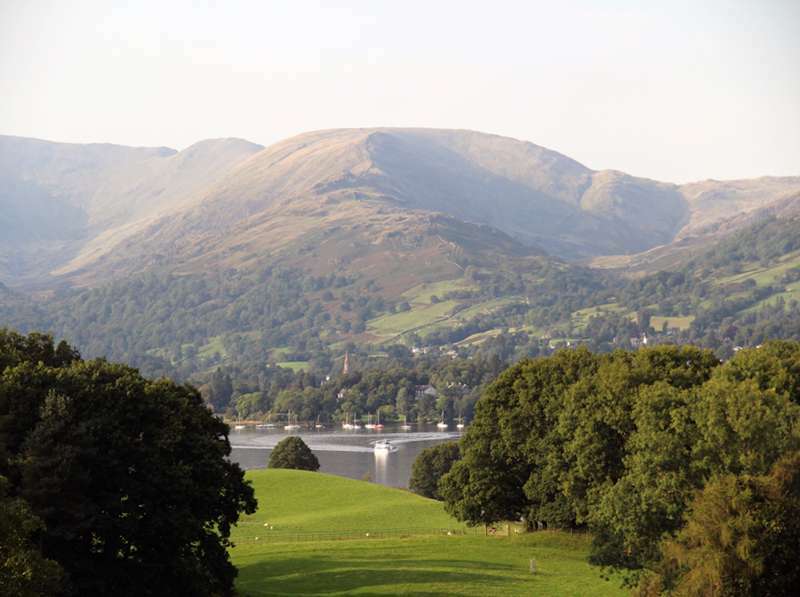 Coming over Todd Crag, there's a handsome view down over the head of Windermere and the Roman fort at Ambleside. The trail here poses the option of sticking with the Roman course via the beautiful village of Troutbeck and climbing onto the mountain skyline of High Street – a huge undertaking both then and now – or crossing the saddle of Scandale Pass into Caiston Glen entering the Ullswater valley by Brothers Water and overnighting in Patterdale before crossing into the secret world of Martindale and reconnecting with High Street Roman road at The Cockpit stone circle. From here the trail embarks on a more serene passage, taking in delightful Askham and entering the great park of Lowther Castle. Part two of the route follows the Eden valley as it passes the Roman fort of Brocavum – partially built upon by a great Norman bastion Brougham Castle – and then follows the river upstream to Kirkby Thore, from whose Roman fort the Maiden Way (and the High Way) leads to Carvoran on Hadrian’s Wall. The Maiden Way is remarkably intact, especially on the ridge top, though as it crosses an active grouse moor there are occasional restrictions and an unavoidable ford. The next stop, Whitley Castle, is home to the unexcavated Roman fort of Epiacum, a remarkable survivor in the midst of the Roman lead and silver mining district, and from here keeps largely to the Pennine Way until the Roman Wall above Greenhead, from where the trail follows the line of the Roman Military Way past Aesica (Great Chesters), up Winshields Crags, the highest point on the Whin Sill and then to the iconic English Heritage fort of Housesteads. Switch back from here by Barcombe Hill to visit Vindolanda – the most studied and best exhibited of all the Roman sites – before finishing at Bardon Mill railway station. A complete Roman journey with ne’er a dull stride. Mark Richards is the author of the eight-volume Lakeland Fellranger series (Cicerone) and is now working on two inspirational adventure and walking guides – 'Hadrian’s High Way' and the 'Great Lakes Connection'. 'Hadrian’s High Way' is due to be published in May 2017 to coincide with the 1900th anniversary of Hadrian’s accession as Emperor on 11th August AD117. Mark is also on Twitter @fellranger1 @hadrianshighway. You can also explore Hadrian's High Way with Hill Walk Tours, who run excellent self-guides walking tours all over Britain and Ireland.